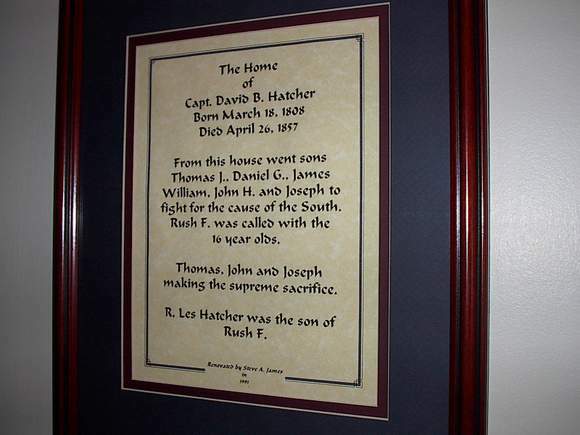 This was the home of Captain David Hatcher. 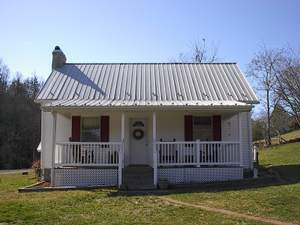 The log structure was the home of Captain David Hatcher. 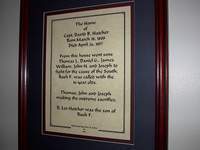 Six of his sons fought in the War Between the States. 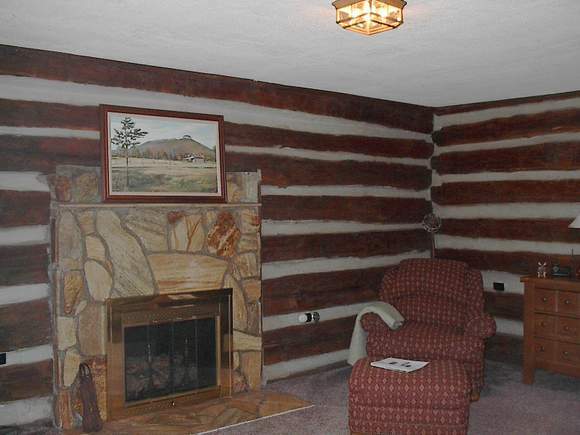 The log home is now the livingroom of this home. 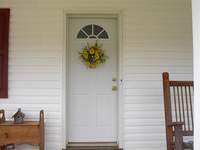 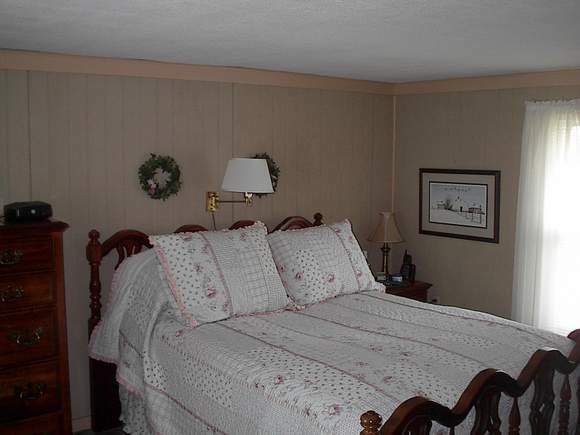 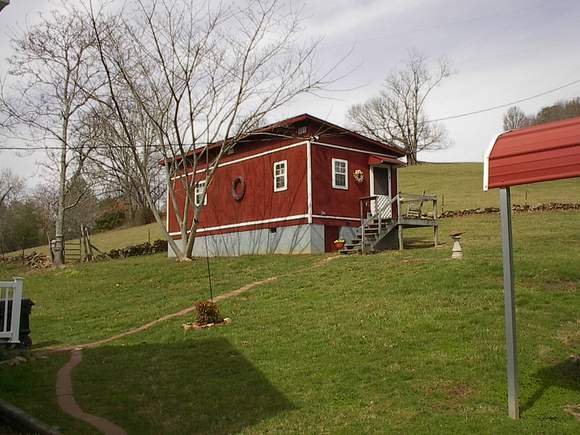 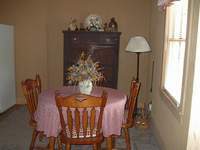 In addition, there are three bedrooms and one bath. 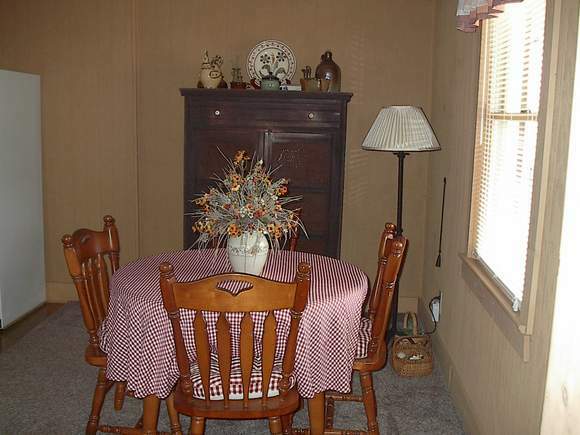 There is a cozy country kitchen with a dining area. 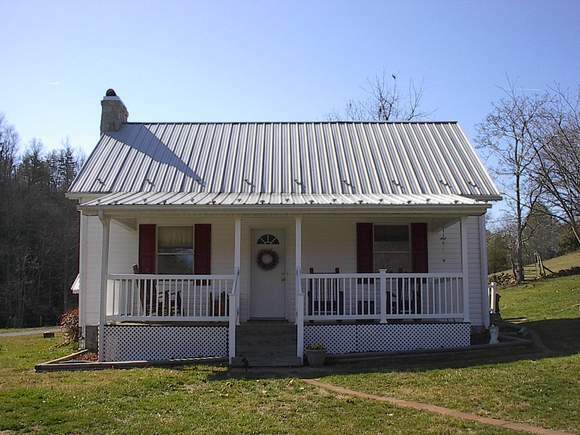 There have been many improvements, too, such as new roof and gutters, rock foundation and chimney, and vinyl siding. 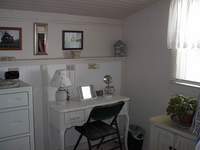 To add to this, there is a detached building with another bath for use as a workshop, craftshop or a guest house. 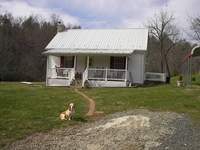 All of this is on one acre of land and is within minutes of the N.C. state line and close to Mount Airy, N. C. This is the cutest place!! Living room with 1840's log structure. 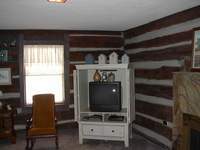 Another view with the logs. 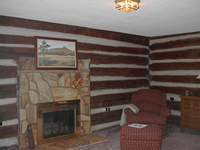 History of the log cabin. Detached shop with its own bath.